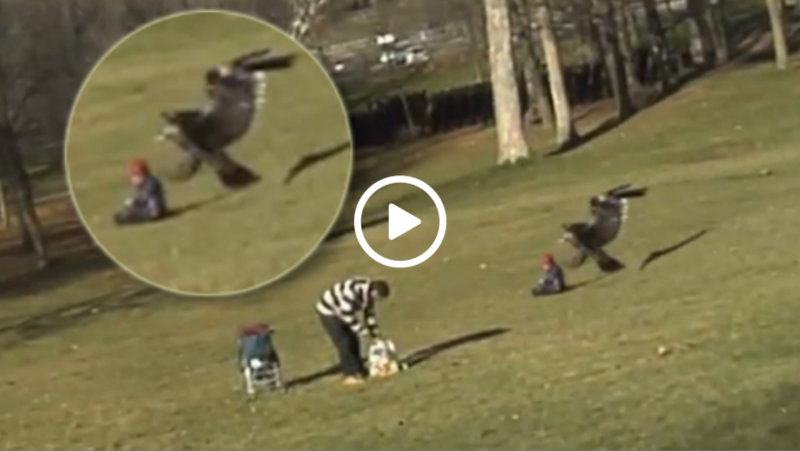 Video Of Eagle Snatching Toddler From Park. Reports of Eagles making off with all sorts of small domestic animals has been common. This video posted on YouTube shows a child being snatched up by a golden eagle in Montreal park. The bird appears to lift the child several feet off the ground before dropping it and flying off. This is unlike anything we have ever seen. That poor child must have been so frightened. We are just glad he is ok! !